The history of woollen cloth-making in Gloucestershire is a long and honourable one, and is woven into the very fabric of our Cotswold landscape. 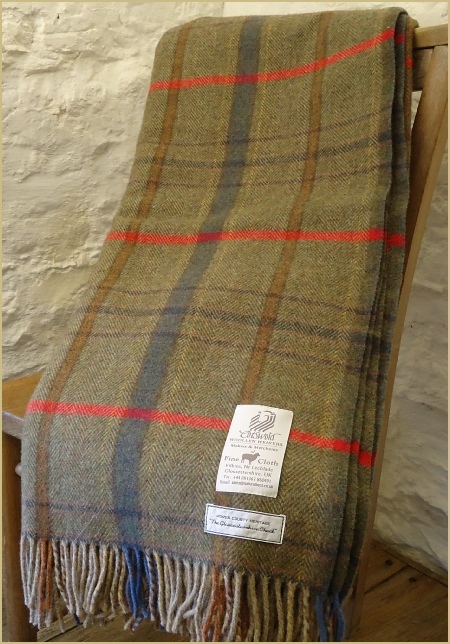 Cotswold Woollen Weavers have designed this new check to celebrate our glorious Gloucestershire wool heritage. 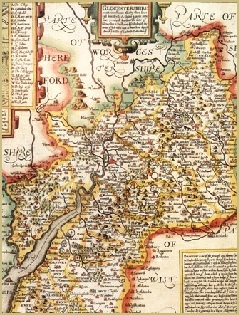 … the ancient forest, honey gold for the mellow limestone of the villages, and ochre for the Cotswold sheep (long known as the "Cotswold Lion"), which brought prosperity to the area. These subtle shades are woven into a check, evocative of the West of England broadcloths, famous since the 18th century. 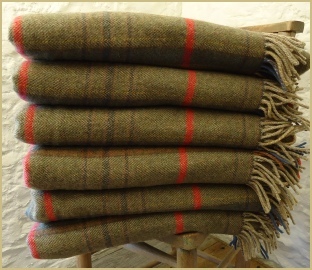 We weave our Gloucestershire Check Lambswool Merino throws with pride, and we trust you will enjoy yours for years to come - your very own Gloucestershire heirloom. … You may also like the cloth we weave in this same Gloucestershire Check, but in an excellent weight suitable for upholstery (or winter coats!) Woollen cloth is inherently fire-resistant, so you get beauty with practicality. 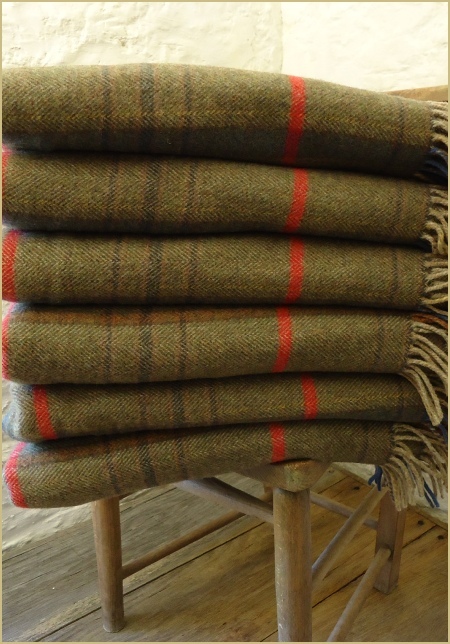 See full details of Gloucestershire Check cloth HERE.